Here are some of the best watches for running, cycling ,swimming and hiking ! 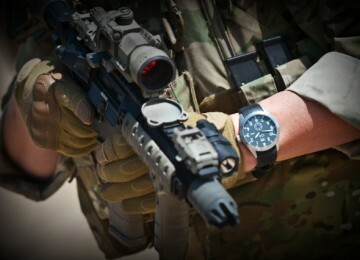 Some people simply use a watch to tell the time. 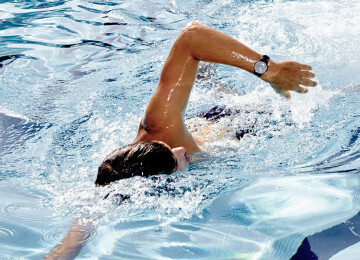 Others look for watches that help them boost their health profile and become more physically competitive. If you are the latter, we have carefully handpicked the best selection of watches designed exclusively for the avid and concerned sportsman in you. 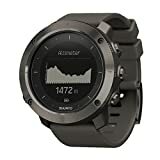 Those are the best all-rounder watches available on the market today, offering a holistic set of features crafted for sportive and adventurous people who partake in regular activities like running, swimming and hiking. 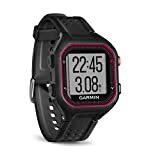 Regardless of the type of sports activity you do, the following are the best watches for running, cycling, swimming and hiking that will keep track of your every minute detail. They are all masterfully crafted, durable and multifaceted. You cannot go wrong with any of them. 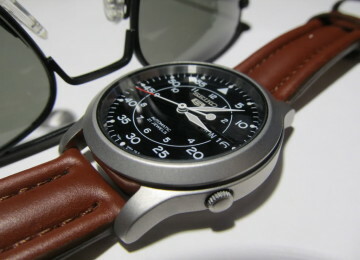 One of the best-looking and most affordable sports watches out there. 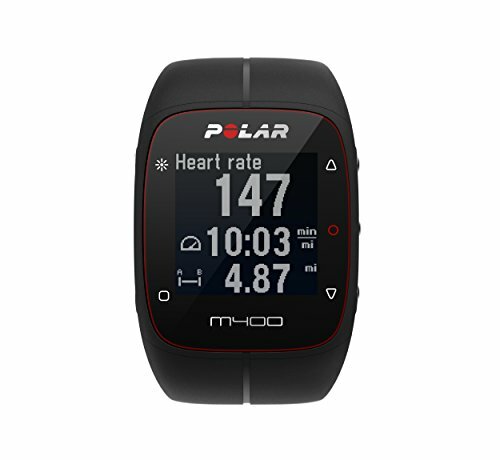 The Polar M400 is literally a technological jewel that comes in a classy black and white and also blue and pink. Don’t let its chick luxurious look deceive you, though. Made from high-grade stainless steel and high-quality plastic, it looks like it can break a tank but it’s very comfortable to wear. Behind the hood, it offers plenty of functionalities. The Polar M400 is controlled by 5 switches, all easily accessible, even during strenuous activities. The interface is very intuitive and newbie friendly with excellent graphics. 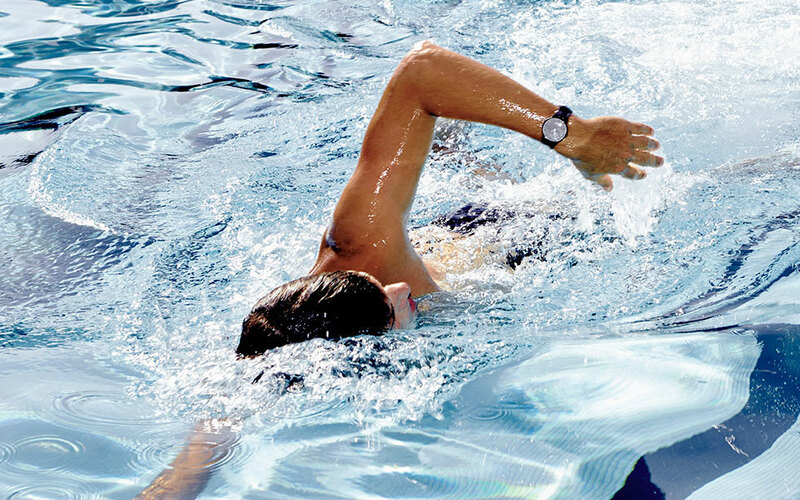 If this is your first sports watch, the Polar M400 will be a good fit. It has, however, advanced features for those more demanding of their fitness watches. Polar also provides a downloadable app you can install on your smartphone to view your daily activities. It can track daily steps and heart rate count. However, we found that it is not a good swimming watch, as it does not track swimming workouts. There are workarounds for it, but it is something to keep in mind. On the other hand, it is fully waterproof. 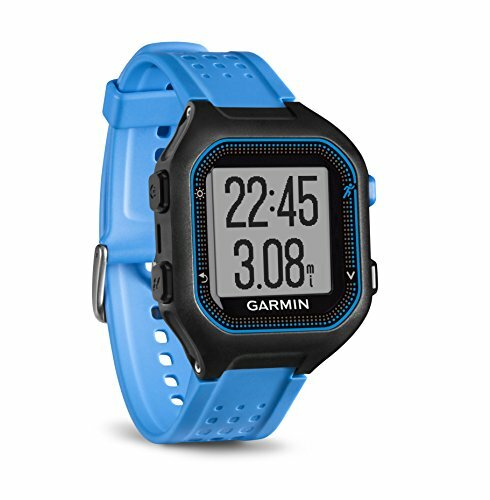 The Forerunner25 by Garmin has a distinctively sporty look with soft anti-sweat wristbands. It is a compact form factor that hosts a slew of functionalities exclusive to Garmin’s pristine reputation in many one of the world’s best GPS devices. The GPS in the Forerunner 25 is snappy and extremely accurate. 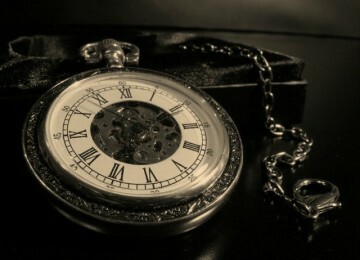 You will never lose track of time or distance with this watch. This is also a great cardio-watch, as it will tell you how many calories you burned, the distance you covered and the number of steps you made. All this is possible with a technology Garmin calls “Activity Tracking”, which, works wonderfully well. By using Activity Tracking, you can quickly see whether your performance is consistent, increasing or decreasing. It will save your daily stats like heart rate and steps in its memory and as long as you do not delete them, you will have a history to compare your performance at any time, any date. It is powered by a lithium-ion battery, and can run for 10 hours with GPS on, or 10 weeks straight with Activity Tracking on. Which is plenty. 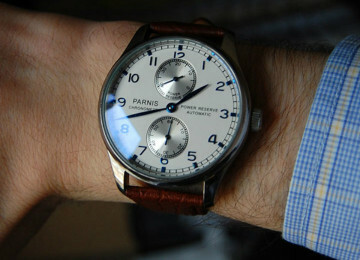 You can choose to turn all those features off, at which point it becomes just a good looking watch. It also allows you to share your stats with your friends on social media with a click. 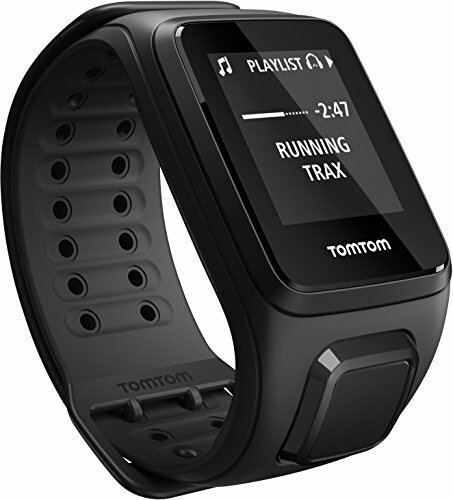 An inclusive all-rounder, the Spark Cardio + Music by TomTom has a more conservative look. But as its name suggests, it is designed for those who have a need for music while on the run. 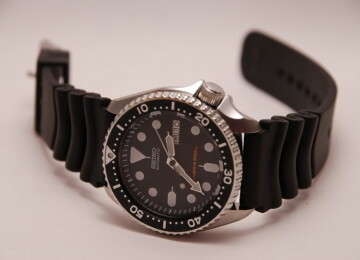 It is an excellent watch for every sports activity, from swimming to running to hiking. You do not need a phone to play music from the Spark Cardio, as it stores your tunes in its internal memory. It has an accurate heart rate monitor and sports a large display. One of the outstanding benefits of the Spark Cardio + Music is that it is a featherweight watch. 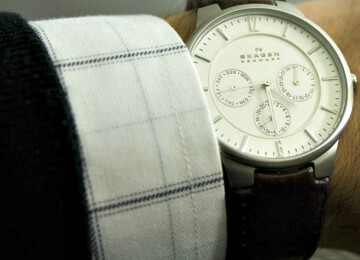 You will almost forget that you are wearing a watch. 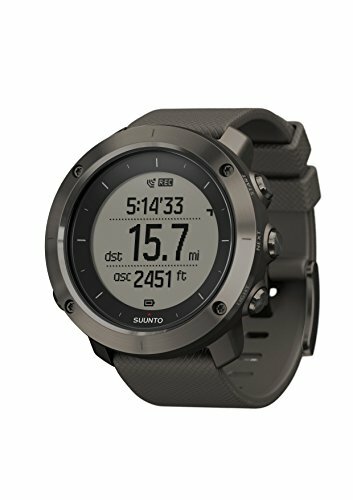 The Traverse by Suunto is a reference watch for hikers. This watch weighs in at only 80g. The round stainless-steel bezel and orange wristband (there are other colors) are a good visual match and esthetically pleasing. What we like about the Traverse is that it is made from composite materials that’s built to last. Its powerful battery can last for 3 days straight with GPS activated. There is no way you can lose your trek route with this watch. It also has a nifty altitude rise and drop count, so you will have recorded evidence when you climb Mount Everest. The Forefunner630 by Garmin has a gorgeous design to match its elaborate set of features. Best suited as a running watch, it offers pinpoint GPS accuracy and advanced running metrics. The screen is also a touchscreen, which makes this more of a smart watch than a fitness watch. You would think that Garmin lost track with this watch, but it still performs its basic functionalities as a fitness watch wonderfully well. 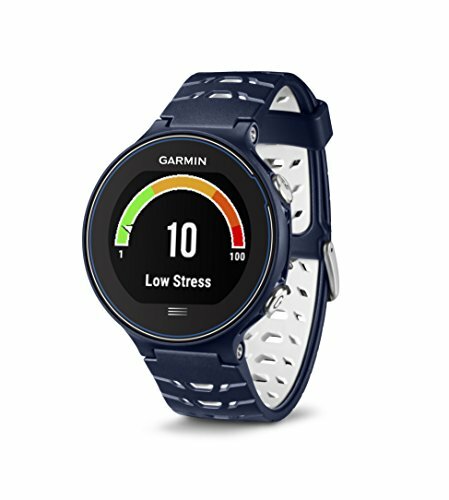 It offers the same features as the Forerunner 25 above, but significantly better packaged and with the looks to match, as this is, after all, a premium Garmin fitness watch. You can download premade running routes directly from Garmin, install widgets like a heart rate monitor and even have different profiles. The complicated set of features does not detract from its main purpose, however. 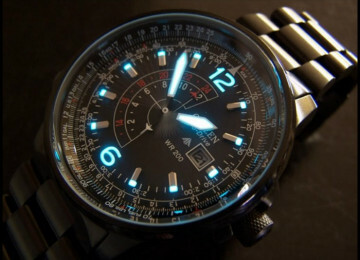 This watch works seamlessly well for anyone of any technological skill level. For the best golf gps watches follow the link. For those heavy duty military watches i have a post on the best ranges from cheap to expensive ones according to your budget.